All courses are fully insured and include use of all tools, safety equipment and timber. Some equipment is available for purchase. This course has a fixed content to ensure that a good grounding in all the basic skills is given and is usually run over two consecutive days. 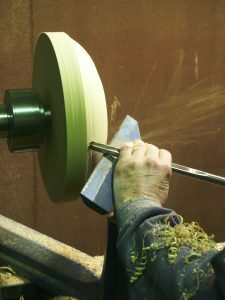 The first day is devoted to spindle techniques and turning wood between centres, sharpening, the use of the roughing gouge, spindle gouge, skew chisel and parting tool. 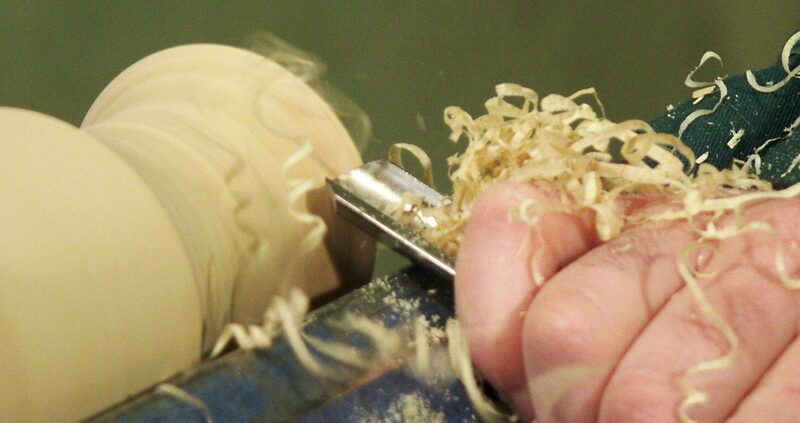 The second day concentrates on faceplate or bowl turning and the wonders of the bowl gouge. Throughout both days emphasis is given to mastering new skills in such a way that when the student returns to their own workshop they can put into practice all they have learnt. On the first day project options normally include a candlestick or a small vase. The second day’s projects are usually a small chopping board or a sphere in the morning followed by a small bowl in the afternoon. All the materials used for these projects are included. If you have something particular in mind just let me know and I can usually incorporate it into the course. It is possible to include a small table lamp as a project. 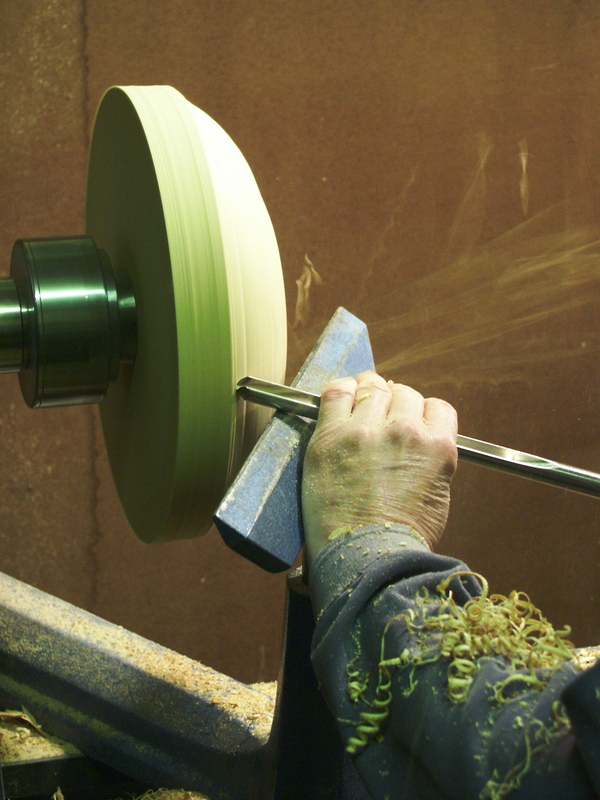 Combining both spindle techniques for the stem on the first afternoon and faceplate techniques for the base on the second morning. The wood for this option is included but not the wire, plug or lamp fittings. This course is usually run with two students but if required there is a 50% Supplement to guarantee 1 to 1 tuition (i.e. course fee becomes £315) or a 20% discount if 2 students book together (i.e £168 per student). NB Smocks are available in a limited range of sizes (large) and a basic dust mask and safety goggles are provide for pupils use. Students may however find their own more comfortable if they have them and should feel free to bring them. If the student already has any wood turning tools of their own (chisels and gouges) it is helpful if they are brought along. The course fee includes all materials used, including timber and advice on the purchase of equipment is available. The day will run from 9.30am to 4.30pm with a short break for lunch of home made bread, soup and cheese. There is a plentiful supply of tea or coffee through out both of the days. A list of topics for inspirationa can be offered separately, but why not contact Gregory directly for a totally unique and fully tailored course*. Some projects may incur extra costs to cover materials. If you would like to book one or two days tuition or if you would like more details, then please ring, email or write (see Contact for details). For any of these courses it is always useful to know what level the student is at and what type of equipment (if any) they have. This helps us to tailor a course that will be of most benefit to them in advance. 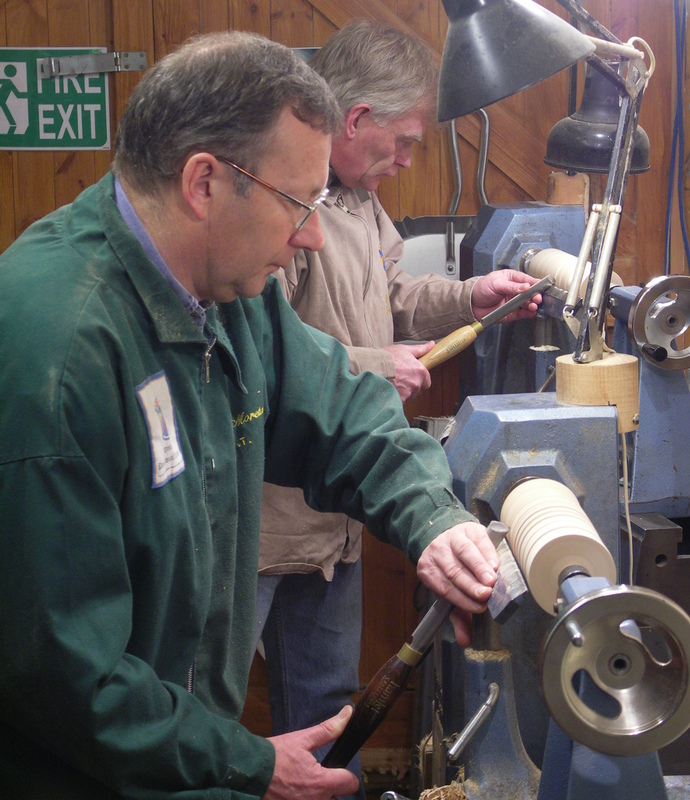 If you wish to bring your own tools, if you have any, then you are very welcome to and Gregory can offer advice on sharpening etc..
individually tailored courses are usually one to one and therefore attract a 50% Supplement.